This is the sad story of a client who is no longer with us. 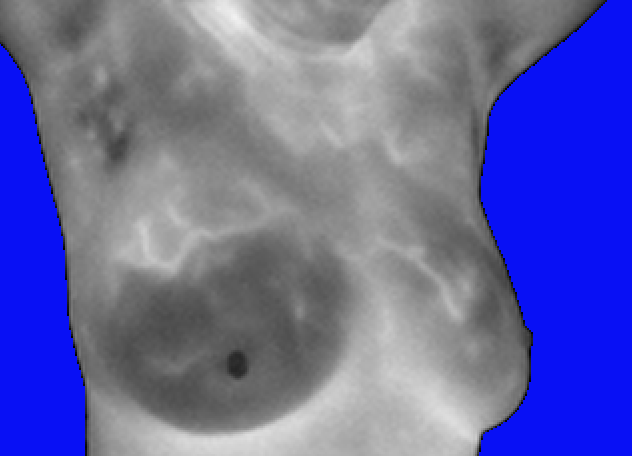 She came to our clinic for thermography in June of 2018 because she had pain in her right breast yet her recent annual mammogram was negative. She was 66. Her thermogram showed an area of concern and she was referred back to her primary care provider regarding the site. In September, she came back for another thermal scan which showed an increase in temperature in the area of concern. Again, she was referred back to her primary care provider for more testing. This time, her doctor ordered more imaging which led to a biopsy and a cancer diagnosis. A few weeks ago I saw her daughter and was shocked to hear that her mother had passed in early March from breast cancer! According to her daughter, Mom sat with the diagnosis for four months before deciding to do chemotherapy treatment. After a few weeks of chemo, she opted to enter a drug trial. A requirement to qualify for the trial was to not be on chemotherapy, so she stopped chemo and declined rapidly thereafter according to her daughter. Only a few days after beginning the trial, Fran passed away. I’ll always wonder if her outcome could have been different had she found thermography earlier. Gratitude and condolences to this family - thank you so much for giving us permission to share Fran’s story.